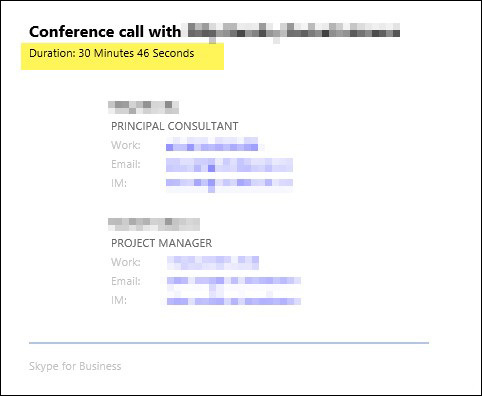 Did you know that you can track your IM Skype conversations in Outlook and track call durations? It can be a useful tool in regard to tracking time with clients or projects. Here’s how I use it. First make sure your Skype Options are set properly. For some companies this is controlled by your IT department, so you might need to ask them for assistance. Make sure the two options below are checked. 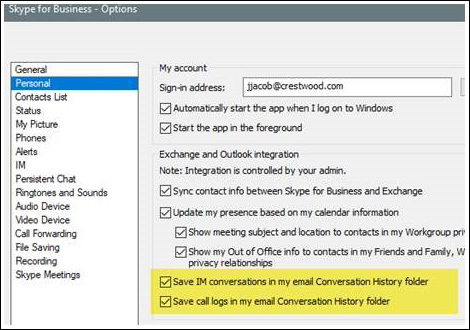 Next, move your conversations history folder under your favorites in Microsoft Outlook. If you aren’t utilizing your favorites in Outlook, you are missing out on some great conveniences. Under your Account, find the folder called Conversation History and drag it to the top under favorites for quick access. You can do the same for any folder or smart search folder. Now you can quickly review a list of conversations that you had on any given day. Here are some things worth pointing out. 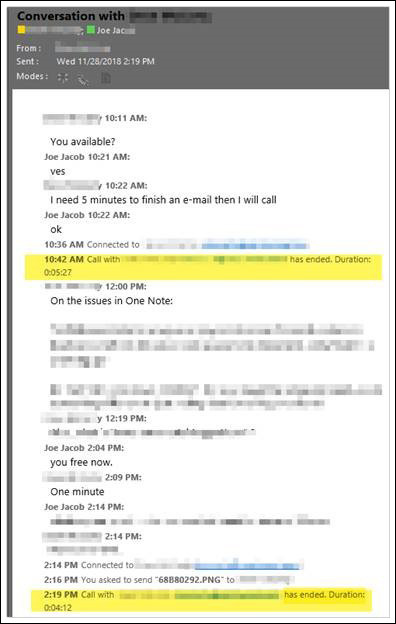 Outgoing or incoming records are created AFTER the IM or call has ended, so the created time stamp is recording when the messaged ended. To see the duration, you need to click on the record itself, a duration time should appear in the body of the record. Once in a blue moon the duration note is missing and if that happens and it was a scheduled call you can look at your calendar to see what time the call most likely started, and the created timestamp is when it ended. The ‘created’ and ‘received’ columns are always the same values, at least in my experience so you could remove the received column completely. I also tried adding the duration column using the Field selector but the value there is always empty for conversations, so Skype probably isn’t populating it. This is from the call above that ended at 4:26 pm. It was scheduled at 4 pm but I jumped on a few minutes early. This was an exchange of IM chatter with a co-worker and included a couple phone calls and a sent image. Notice the ‘Modes’ in the heading. Message, call, and document attachments are icons describing what happened. 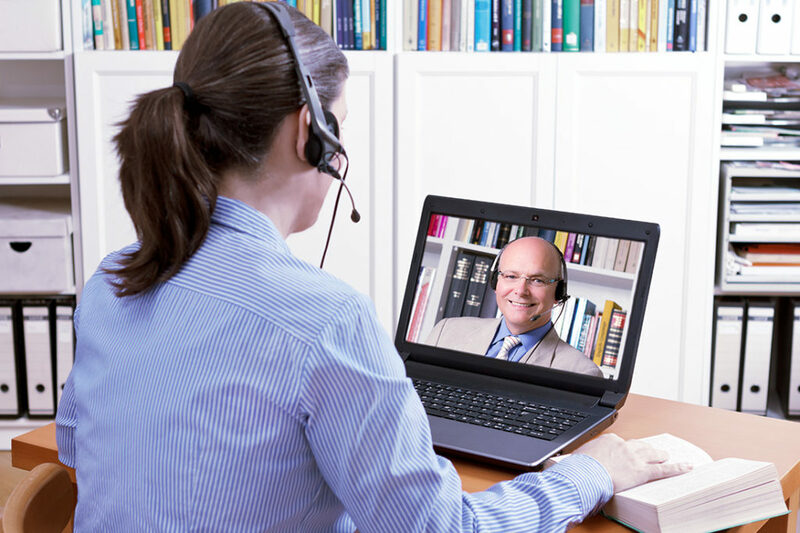 Skype for Business is well integrated with Outlook and searching outlook messages will include any business-related chatter which can be valuable. So, I recommend including key words to search on in your IM’s. It’s also a good reminder that any personal chatter is forever captured too. If your comments are intended for just one person, make sure you realize they could eventually be seen by the whole world. Get new helpful posts delivered to your email, click the link below to subscribe to our blog.